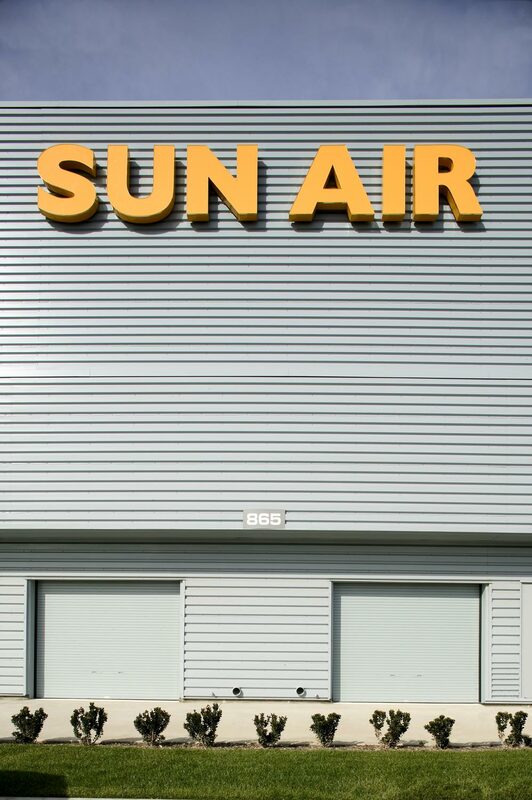 Sun Air — Behr Browers Architects Inc.
Behr Browers Architects designed this 61,634 square foot corporate jet hangar in Camarillo, California. 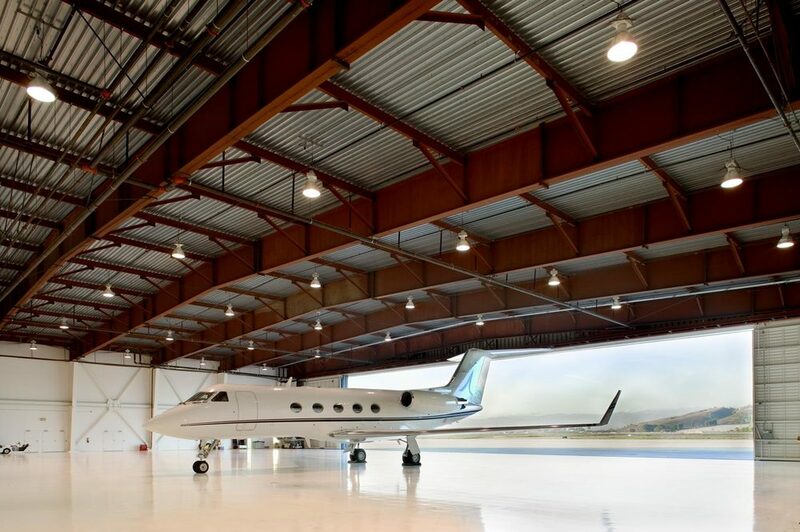 The large clear span structure was a part of a full service corporate jet maintenance facility. 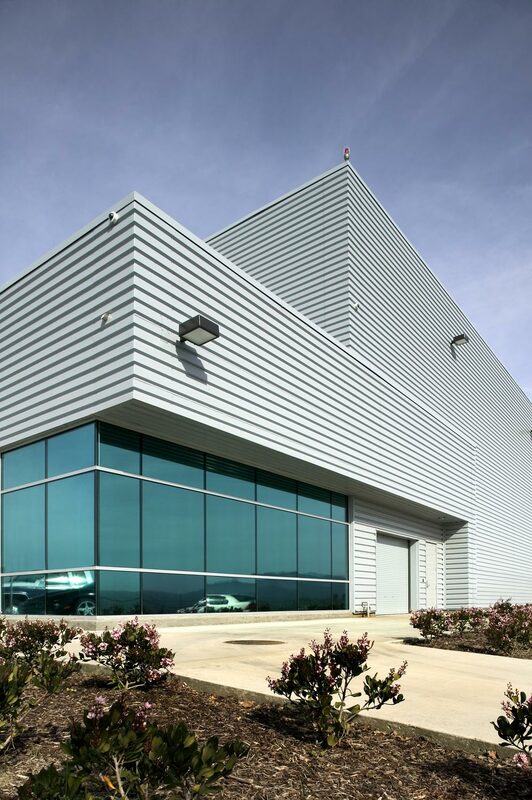 The exterior design and materials were selected to match the existing customer lounge and corporate offices. 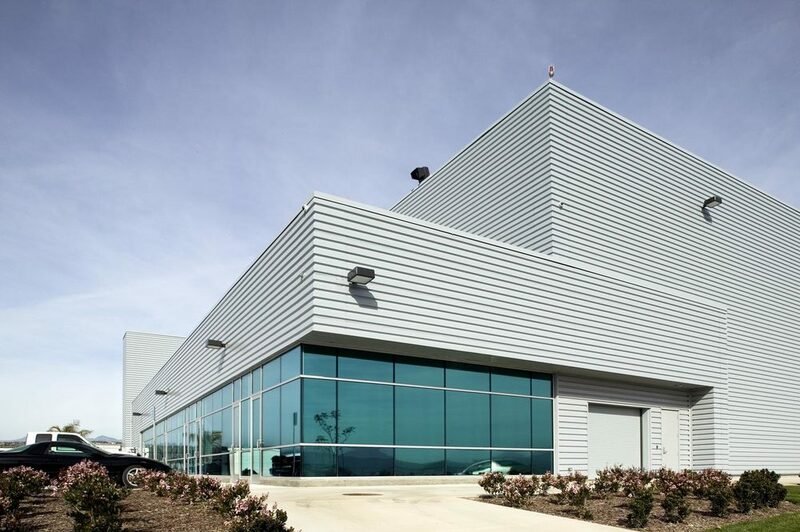 The building also provided along its perimeter, private carports and offices for customers.